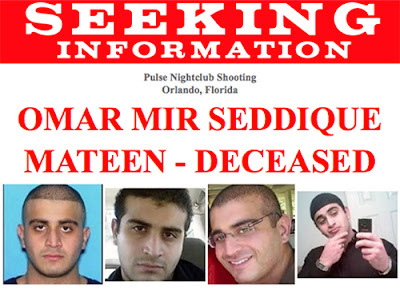 The FBI asked for the public’s help today to learn more about the movements of Omar Mateen prior to his shooting rampage Sunday at an Orlando, Florida nightclub that left 49 people dead. “We need your help in developing a picture of what the shooter did and why he did it,” said Ron Hopper, assistant special agent in charge of the Bureau’s Tampa Field Office. During an afternoon press briefing in Orlando with local law enforcement partners, Hopper urged anyone with information, no matter how small, to call the FBI or submit a tip online.A Seeking Information poster regarding the deceased shooter is available on the FBI’s website. Anyone who has had contact with the shooter, either in person or online, is asked to contact the FBI at 1-800-CALL-FBI, submit a tip online at tips.fbi.gov, or call your local FBI office.“The FBI’s Office for Victim Assistance and its experienced Victim Assistance Rapid Deployment Team is working together with the city of Orlando and federal, state, and community agencies to provide resources and support to victims, next of kin, and loved ones,” Hopper said.